OUR SMALL BATCH FLOWER BOUQUETS ARE HANDMADE IN A SIMPLE, FULL AND BOHEMIAN STYLE THAT ALLOWS THE NATURAL BEAUTY AND SEASONALITY OF THE FLOWERS TO SHINE. Please fill out the following form and click submit, then pay with Paypal at the bottom of the page. 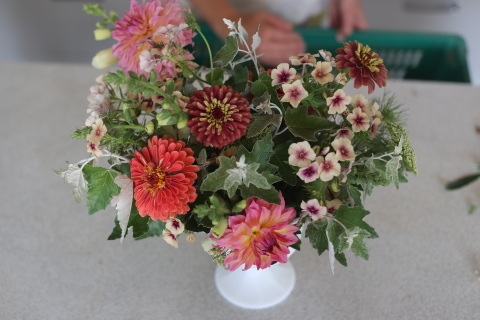 Humble Pie Farm 15-week, mid-June-October CSA share flower bouquet share will include a variety of annual and bulb cut flowers, as well as woody perennials and ornamental grasses. Pick up location: Birchwood Cafe or Wedge Table in Minneapolis. Humble Pie Farm 7-every-other-week mid-June-October CSA share flower bouquet will include a variety of annual and bulb cut flowers, as well as woody perennials and ornamental grasses. Pick up locations: Birchwood Cafe or Wedge Table in Minneapolis.